One of the most famous (infamous?) anime underwear tropes for female characters is light blue and white striped underpants. Male characters, it seems, have a similar trope. For the female characters, the stripes are horizontal, but for the male characters, they are vertical. 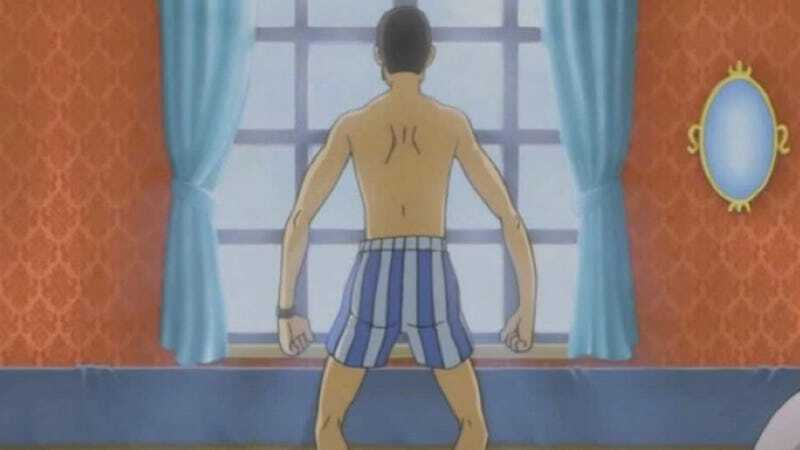 As you can see below in this Twitter by Japanese Twitter user Takumi, a wide range of characters (from Lupin III to Ash from Pokemon) have all worn similar boxers. Be aware that some of these characters also wear different colored boxers. Ash, for example, has also worn white undies, while Lupin has worn heart boxers on several occasions. Striped, however, are most common for the famous thief. It’s possible that this type of underpants was popular at the time in Japan or that artists simply needed a shorthand to easily express that a character was in his undies and not wearing shorts or swimwear.